The extraordinary John Newton died all of 210 years ago today. At sea from the age of 11, he was pressed to work for the Navy, then on a slave ship before being virtually enslaved himself in West Africa. He was rescued, underwent a spiritual conversion, yet became a captain of slave ships. He turned tax collector, then lay preacher, and then evangelical curate. He proved a very popular pastor, friend to the poet William Cowper (with whom he wrote the hymn Amazing Grace) and to the leader of the slave abolition movement, William Wilberforce. Much of what we know about this remarkable man comes from his own hand, an autobiography and diaries. Newton was born in 1725 in Wapping, London, the son of a shipmaster. His mother died when he was seven, and from the age of eleven he sailed on his father’s voyages. When his father retired, he, still a teenager, signed on with a merchant ship. Before long, he was pressed into the naval service, becoming a midshipman on HMS Harwich. He was caught trying to desert and was severely flogged. He transferred to the Pegasus, a slave ship heading for Africa, but was left in West Africa, in the hands of a slave dealer, and was treated no better than a slave himself. In 1748, he was rescued, and brought back to England, by a ship’s captain who had been asked by Newton’s father to look for him. On the journey home, the ship almost sank which led to Newton undergoing some kind of spiritual conversion, and thereafter living a far more sober life. Back in Liverpool, Newton secured a position as first mate on the slave ship Brownlow bound for the West Indies. In 1750, he married his childhood sweetheart Mary Catlett, and they adopted two orphaned nieces. He went on to become captain on several slave ship voyages, only giving up in 1754 after suffering a stroke. Thereafter, he worked as tax collector in the Port of Liverpool, but at the same time serving as an evangelical lay minister. He first applied to be ordained in the Church of England in 1757, and to other denominations, but it was not until 1764 that he was finally accepted into the C of E, and took up the living of Olney, Buckinghamshire. He was supported by John Thornton, a wealthy merchant and evangelical philanthropist, and proved a popular curate, well known for his pastoral care. In 1767, the poet William Cowper moved to Olney, attended Newton’s church, and the two became friends. They collaborated on a volume of hymns, the most famous of which is known as Amazing Grace. 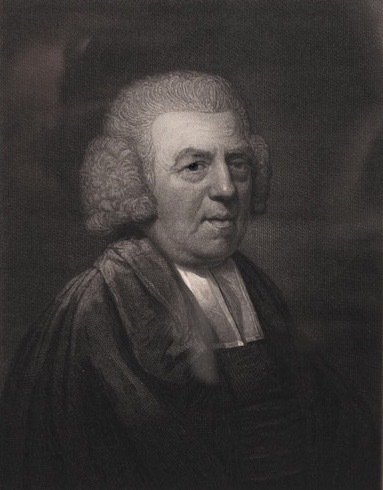 In 1779, Thornton invited Newton to take over as Rector of St Mary Woolnoth, Lombard Street, London, becoming one of only two evangelical Anglican priests in the city. He remained a popular churchman, friendly with evangelicals as well as Anglicans, and is known to have advised a young Member of Parliament, William Wilberforce, who would become a leader of the abolition movement. In 1788, Newton published a pamphlet, Thoughts Upon the Slave Trade, breaking a long-lived silence on the subject, in which he apologised abjectly for the part he had played many years earlier. Mary died in 1790, which led Newton to publishing Letters to a Wife. Newton, himself, died on 21 December 1807. Further information is readily available online at Wikipedia, The Abolition Project, The Church Society, or Banner of Truth. Newton kept a diary for much of his life, and although it was not published (as far as I can tell) until the 1960s, substantial extracts can be found in a biography put together in the 19th century by Rev Josiah Bull and published by The Religious Tract Society: John Newton of Olney and St. Mary Woolnoth: An Autobiography and Narrative compiled chiefly from his diary and other unpublished documents. This is freely available online at Internet Archive. In 1962, Epworth Press issued The Journal of a Slave Trader 1750-1754 edited by Bernard Martin and Mark Spurrell. Some pages from the manuscript of Newton’s journal (taken from The Slave Trade and Its Abolition by John Langdon-Davies) can be view online at Getty Images. Transcribed extracts from Newton’s journals can also be found on two contrasting websites: The International Slavery Museum and The John Newton Project (which advertises is objective as ‘the transformation of society through faith in Jesus Christ, using the life and works of John Newton as one great example). However, neither website (as far as I can ascertain) give any clue as to the source for their extracts, nor can I find any indication as to where the original manuscript diaries might be held. The John Newton Project says there are ‘several diaries’ covering the period 1751 to 1805, but not where they are or how it, the Project, has access to them. The following extracts have been taken from the 19th century Autobiography, the International Slavery Museum website, and The John Newton Project.